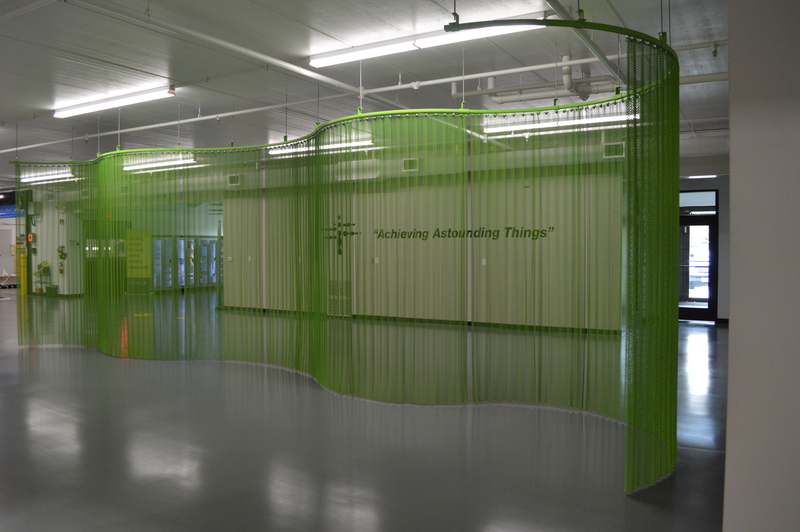 TUALATIN, OR…Cascade Architectural, the international leader in the design, engineering, manufacturing, and installation of coiled wire fabric systems, recently provided a 519" x 114" Fabricoil® coiled wire fabric curved partition for Terso Solutions’ new production facility near their headquarters in Madison, WI. Terso Solutions, Inc. is a leading technology company that produces RFID and inventory management solutions for healthcare and life science organizations. The new 30,000 sq. ft. facility is a major capacity increase from the original 6,000 sq. ft. building and enhances Terso’s overall manufacturing capabilities. 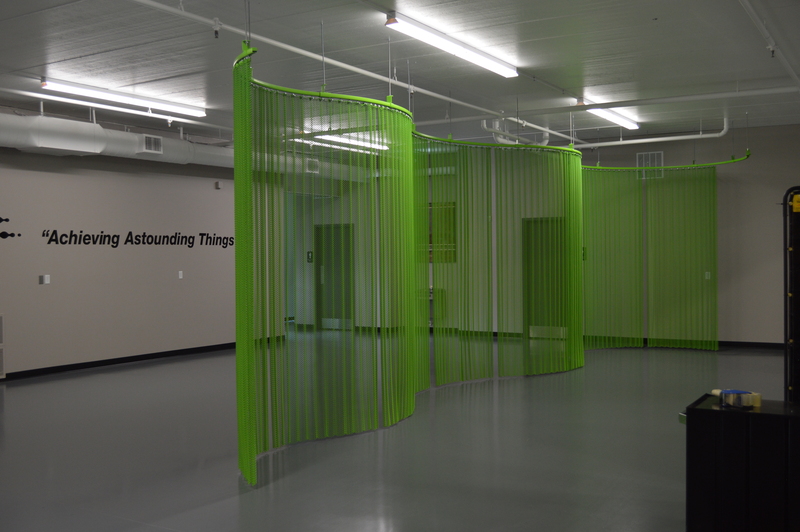 The two-phase renovation included a partition to separate the entrance from the storage areas, while simultaneously providing path guidance for occupants. 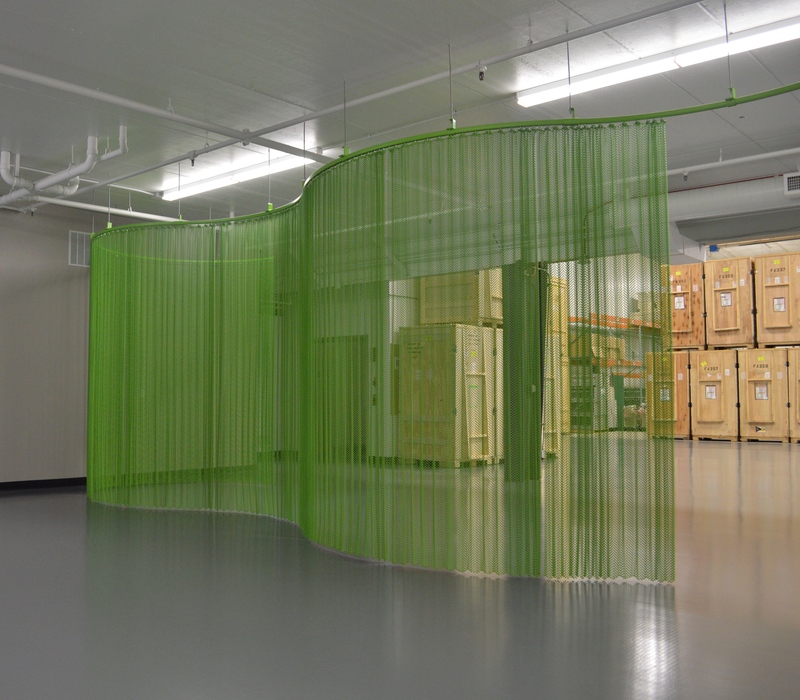 CRB Interiors specified an operable Fabricoil partition to sculpt the open space, which proved to be the ideal solution. CRB Interiors specified Cascade Architectural’s Secura Track system, with an operable ½”-14-gauge aluminum Fabricoil curtain. 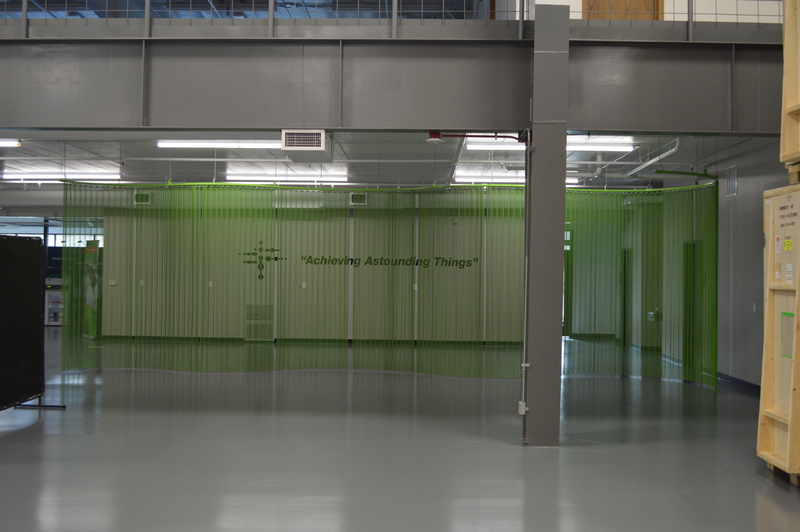 The curtain was powder-coated in “electric lime” to match Terso Solutions’ corporate color. The shape of the track was designed to incorporate even more of the company’s character. “The curved track design is derived from shapes featured in Terso’s corporate logo, an abstract take on a tamarack tree,” adds Beaudreau. These exclusive design choices were made possible by Cascade’s extensive customization capabilities and ability to provide support with any design, engineering, and specification assistance necessary. 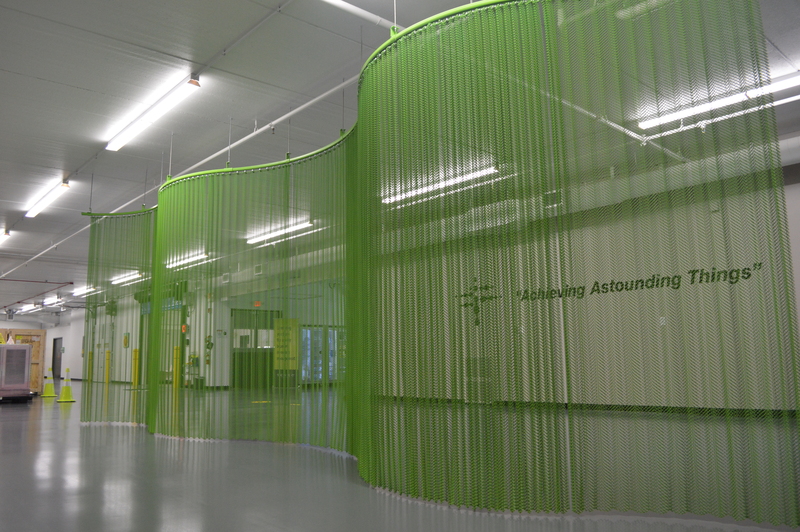 Fabricoil partitions divide spaces but still allow visibility, and may be customized to achieve a distinct aesthetic that is simply unachievable with traditional partitions or solid walls. Should the need for more floor space arise, operable track systems like Cascade’s Secura Track make opening the curtain easy—perfect for when a clear path is required to move larger items throughout the facility. Fabricoil is a high-strength, low-maintenance material that is ideal for a variety of interior and exterior applications. The metal mesh will not break, chip, or dent if coming into contact with nearby equipment. The unique construction of coiled wire fabric gives it flexibility in both directions, allowing it to absorb impacts and then return to its original form. Fabricoil products also carry Declare labels with the International Living Future Institute. The installation was completed in September 2018. The project team included manufacturer, Cascade Architectural, Tualatin, OR; interior designer, CRB Interiors, Madison, WI; and construction firm, Kraemer Brothers, Plain, WI.